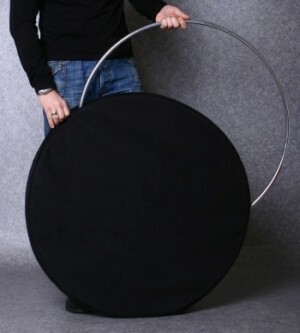 This Hoop turns your levitation into a real magic. for any levitation or suspensions. Hold the hoop in one hand and pass it straight over the floating lady, starting at her head, along her body, off at her feet. AND YOU CAN THROW THIS Hoop INTO THE AIR TO YOUR ASSISTANT. 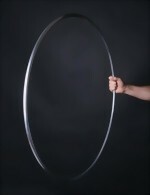 The hoop has mechanical magnet lock.